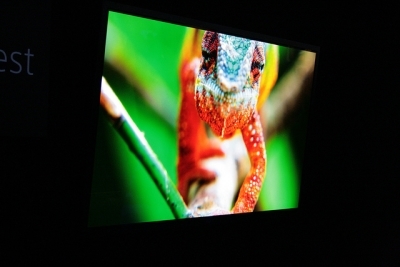 One of the latest techie rages is the Ultra HD 4K TV, which features clarity at a whopping eight million pixels compared to just two million pixels for 2K HD video. Although 4K TVs are still a little pricey for the average consumer, prices have been falling in recent years and are expected to continue to fall as demand rises. In this article, we will take a look at the top 5 Ultra HD 4K TVs, and the comparisons between each one. This Ultra HD 4K TV is one of the most visually stunning masterpieces in the 4K world. With a curved infrastructure, this TV is uniquely-shaped and has incredible graphics. This TV includes HDMI 2.0 ports, and also has support for the H.265 4K video codec that Netflix and other 4K streaming services use to deliver content at 4K quality. The Toshiba 58L9363 is an Ultra HD 4K TV that can also be used for 3D video. It has been touted as the cheapest Ultra HD 4K TV in the UK. It has a smart TV feature—Cloud TV—which can transcode HD to 4K quality. The Sony KD-55X9000A Ultra HD 4K TV is the perfect theater system as it incorporates a very powerful audio system with built-in Magnetic Fluid speakers, including two subwoofers. The only downside to this TV is the lack of HDMI 2.0 and HEVC support. It does support 3D video with its passive 3D specs, and the price makes it one of the best values of Ultra HD 4K TVs available. The Philips 65PFL9708 is a 65-inch Ultra HD 4K TV that is certainly one of a kind. The Ultra Pixel HD Engine is a revolutionary tool that splits each HD pixel into 4 pixels, then intensifies the effects in order to illuminate colors and clarity. It also has superior ambient lighting management features. The LG 84LM960V Ultra HD 4K TV is a feature-rich TV, but it is one of the priciest models as well. With a theater-quality, 84-inch screen, this Ultra HD 4K TV is focused on quality and detail. It has the ability to transcode Full HD to Ultra 4K HD. Its 3D features are superior to other Ultra HD 4K TVs as well, as it eliminates the resolution loss that many other 3D TVs experience. Okay, so you have purchased one of the One of the Ultra HD 4K TVs, but now you need to find quality 4K content to watch. YouTube has one of the largest collections of 4K video content available, but YouTube does not currently offer the ability for users to download their content. In this case, you need a YouTube video downloader such as the 4K Video Downloader. The 4K Video Downloader allows users to download any YouTube video in the highest quality available! You can even download 3D video and banned videos. Entire YouTube playlists can be downloaded instantly, and smart mode allows users to download videos and playlists with a single click. And it's not just for YouTube; you can also download content from Facebook, Flickr, DailyMotion and Vimeo.